Major Parker was the son of Lutrelle Fleming Parker, Captain, United States Navy. Research continues regarding the Major's career. 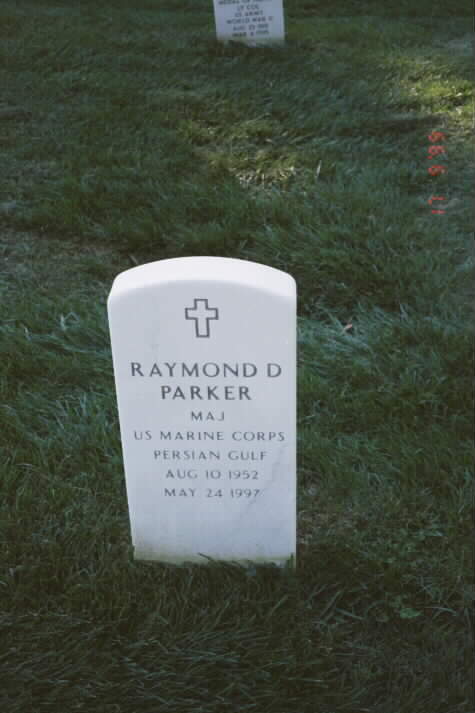 Raymond D. Parker, 44, of the 2800 block of Bixley Hill Court, died May 24, 1997. Born in Washington, D.C., he was retired in 1995 as a commissioned officer for the U.S. Marine Corps with 20 years service. He was a member of First Mount Zion Baptist Church, Dumfries, Virginia. 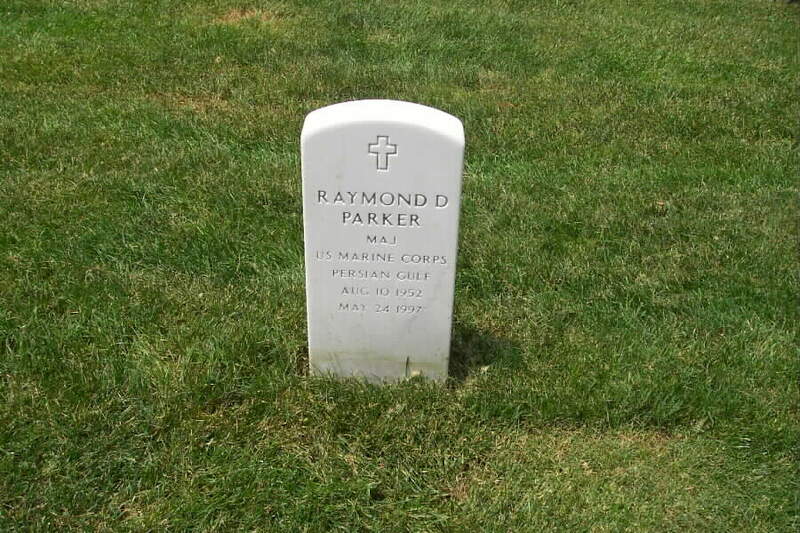 He is survived by his wife, Helen J. Parker; a daughter, Roslyn D. Parker; two sons, Randall D. Parker and Raymond D. Parker II; mother, Lillian C. Parker of Arlington, Virginia; a sister, Imani Bennett; two brothers, Dr. Wendell E. Parker and U.S. Navy Captain Lutrelle F. Parker Jr.
A funeral will be conducted at 10:30 a.m. June 4 at First Mount Zion Baptist Church, Dumfries, by the Rev. Luke Torian. Burial will be in Arlington National Cemetery with full honors.